A few years ago I was emailing back and forth with a (non-photographer) friend of mine, talking about my photography and the different projects I was tackling at the time. During our conversation my friend decided to give me a compliment by sharing a screenshot of the screensaver he’d just created using my work. “Wait! what? !” ran through my head. How did he download the photos to his computer if I had disabled right click on my website? Although my friend meant no harm and just wanted to say how great my images were, the experience still taught me that I needed to learn more about protecting my images online. What I've found is that, in essence, there isn't much you can do to protect your images when it comes to posting them on the internet. Simply forget about disabling the right click function of your browser. If someone really wants to steal your photo, they will. To start, they can take a screenshot of the image, or use the browser's Developer tools to download the images from their direct URL. 1. This fantastic article on Cambridge in Color is probably one of the most comprehensive resources. It provides information on commonly used methods, less common methods, and what actions to take if someone does violate your terms. 2. I also enjoyed reading this article by Skinnyartist.com which provides both, entertaining stories of stolen images, along with their tips on how to safeguard your shtuff. They even have a great tutorial on how to “shrink wrap" your images. 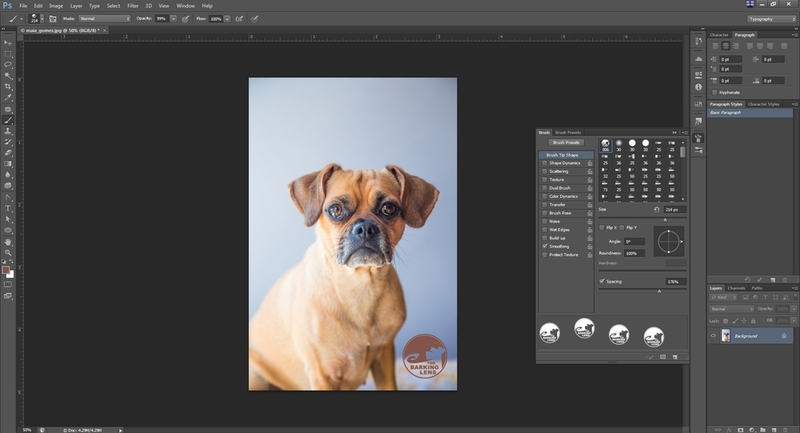 Fotor.com is a great and free online photo editor with additional premium features. Canva.com offers a great set of pre-made designs, editing tools, and even a neat photo editor. iPhone: Apps to watermark iPhone photos. Android: Add Watermark Free and iWatermark Free. 7. Don't like the idea of adding a watermark on your photos? This post on the Pixlr.com blog provides an interesting take on the subject and several different ways to use a watermark more effectively.